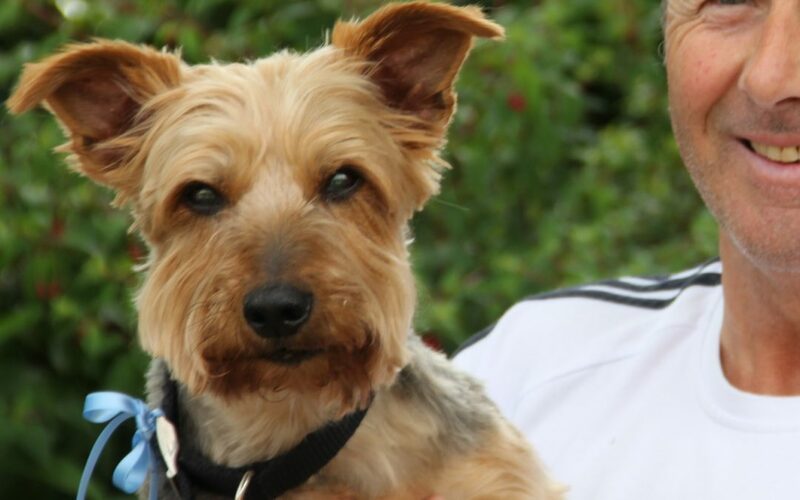 John thought that Snoop was a normal, healthy yorkshire terrier when he brought him to see me for his booster vaccination in April 2012, so he was shocked when I broke the news to him. As part of Snoop’s usual annual health check, I asked a few questions about his daily habits. John mentioned that Snoop had been drinking more water than usual, and that he had had a few accidents, urinating in the house, which was completely out of character. A quick urine test in my consulting room showed that Snoop had glucose in his urine, and a blood test confirmed that his blood glucose was much higher than normal. There was only one possible cause of this: diabetes. Snoop was started on twice daily injections of insulin, given by John as part of a new daily routine. His blood glucose returned to normal within a week, and since then, he has been a stable diabetic dog. John is careful to keep to a standard routine, with just the right amount of food and exercise. Snoop’s thirst has remained normal, and he has had no more accidents in the house. Blood tests from time to time have shown that the insulin injections are keeping his blood glucose at just the right level. One year after Snoop had been diagnosed as diabetic, John noticed another problem: Snoop’s vision suddenly seemed to be fading. The first clue was that Snoop started to hold his head to one side, glancing around nervously, looking baffled, as if he could not understand what was going on around him. In the back garden, Snoop heard a cat, but instead of rushing towards the cat, barking in his normal terrier way, he just stood there, looking confused. Then, the next morning, when he was going downstairs, Snoop started to move cautiously, extending his foot out in front of him gingerly, as if feeling for the step, rather than running rapidly down the stairs as usual. The final confirmation that his vision was in trouble happened when Snoop bumped into a chair: he had never done this before. John brought him back to see me, and when I examined his eyes with an ophthalmoscope, the problem was obvious: Snoop had developed cataracts in both eyes, a common complication of diabetes. Dogs’ eyes, like human eyes, have a transparent lens in the centre. In diabetic animals, this sometimes glazes over, becoming like frosted glass, completely blocking the vision. In diabetic dogs, cataracts often form rapidly: within the space of a few days, Snoop went through a change from normal vision to complete blindness. There was some good news, however: cataracts can be cured. I referred Snoop to the local veterinary eye specialist, and within 24 hours, the little dog was on the operating table. He had the cataracts removed from both eyes, and the operation was a tremendous success. Within a week, his vision had returned back to normal. The operation was expensive, at over €2000, but John had wisely taken out pet insurance for Snoop when he was young, so most of the cost was covered for him. As part of his post-operative care, Snoop was put onto daily pain relieving tablets, and John noticed that his general form was dramatically improved. It’s likely that he had been suffering from the low-grade aches and pains of arthritis that are common in old age. He responded so well to daily pain relief that we decided to keep him on the tablets permanently. Snoop hasn’t looked back. John says he’s like a young dog again, back to chasing cats out of his garden as soon as he sees them. Snoop won’t go on for ever, but he is certainly making the most of his old age.